In a recent decision, Judge Eric Bruggink didn’t hold mince words, using terms like “agency misconduct,” “untruthful,” and “lack of commitment to the integrity of the process,” among other none-too-subtle phrases, to describe the actions of the Department of Health and Human Services. But Judge Bruggink’s decision is striking not only for its wording, but because it demonstrates the importance of good faith bid protests to the fairness of the procurement process, in a case where HHS unfairly sought to “pad the record” in support of a favored bidder–and would have gotten away with it were it not for the diligent efforts of the protester. A woman-owned firm’s introduction of generalized evidence of discrimination against women in the fields of architecture and engineering was insufficient to demonstrate that the Navy discriminated against the woman-owned business with respect to a particular federal opportunity. A recent GAO bid protest decision highlights how difficult it is to successfully demonstrate bias by government officials–even in a case where statistical evidence suggests that bias may be prevalent in a specific industry. A Bulgarian immigrant’s thick accent and lack of English proficiency were not evidence of bias, and did not support the immigrant’s 8(a) Program application. In a recent 8(a) Program decision, the SBA Office of Hearings and Appeals expressed sympathy for the language difficulties many immigrants face, but held that such difficulties, by themselves, do not constitute evidence of “social disadvantage” for 8(a) Program purposes because the 8(a) Program requires a showing of bias or prejudice. 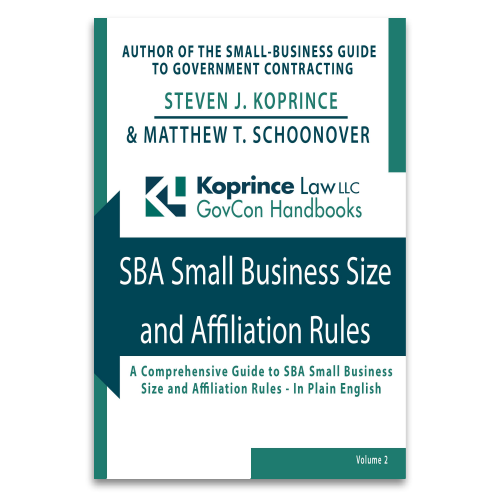 A woman does not need to provide the SBA with “smoking gun” evidence of bias in order to be considered socially disadvantaged for purposes of her company’s application to the 8(a) program. In a recent decision, the SBA Office of Hearings and Appeals sharply criticized the SBA’s evaluation of a woman-owned small business’s 8(a) application, holding that the SBA had improperly discounted evidence of bias, needlessly demanded that the woman provide irrelevant details, and made several other errors. An alleged adulterous relationship between a Navy program manager and a contractor support employee did not provide a basis to challenge the Navy’s award to a different contractor. The GAO’s recent decision in Harris IT Services Corporation, B-408546.2, B-408546.3 (Oct. 31, 2013) involved more salacious allegations than one typically encounters in a bid protest case, but the GAO’s ruling was no surprise: after all, the awardee was not the company employing the allegedly unfaithful employee. 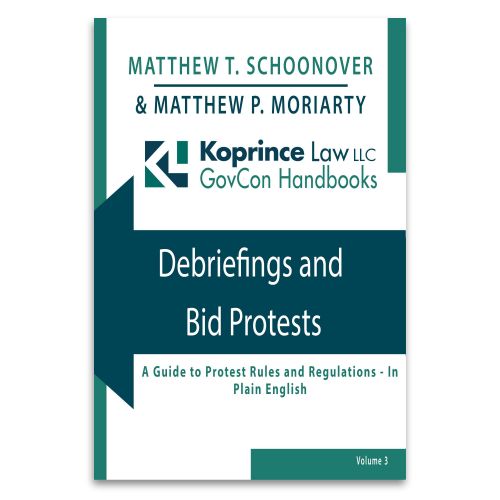 GAO bid protests sometimes involve allegations that a particular contracting officer and/or other government personnel were biased against the protester. However, as a recent GAO bid protest decision demonstrates, without “convincing proof,” which can be very difficult to obtain, the GAO will not sustain a protest allegation of bias or bad faith on the part of government employees. In other words, without a “smoking gun,” making an allegation of bias or bad faith may simply be a waste of time.